The Inforum 2018 conference will be held in Washington D.C. from the 24th – 27th September. This event will be held at the Walter E. Washington Convention Centre in the capital city. Cashbook are looking forward to attending this year, as it will be our 8th consecutive year to exhibit and also our 8th year as a Global Infor partner. We can’t wait to show off our new developments in Cash Application, Accounts Payable, and Bank Reconciliation automation. We also have highly useful Deductions, OCR, and Portals automation tools that help our customers tremendously. All of our Cash Automation software integrates seamlessly with Infor ERP’s such as: BPCS, LX, XA, MAPICS and Lawson S3 and M3. We have years of experience and countless implementations with the various Infor ERP’s, which means a quick and easy implementation process for any new Infor customers. If last year is anything to go by, then it will be a great event with lots of networking, sharing and learning. The 2017 event saw over 8,000 attendees making it the largest Inforum so far. We love Inforum as we get to meet a lot of our US based customers in such a great environment. We hope to meet our customers again in Washington D.C., and we also look forward to meeting new people. 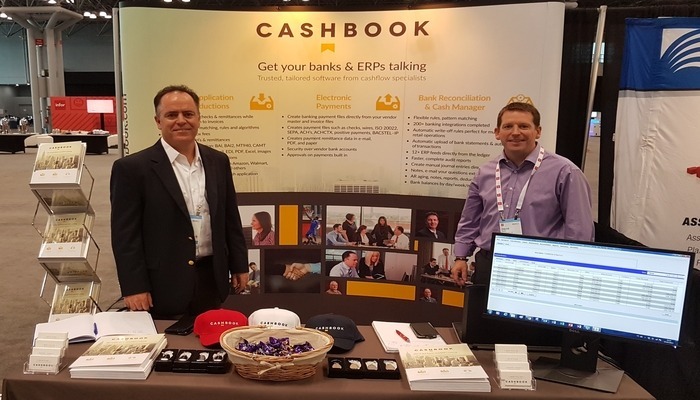 If you are attending Inforum 2018 why not come by the Cashbook stand to say hello, we can show you how Cashbook can transform your Cash Application process. We can give you a live product demo to see if we are a good fit for your company. Greg Coulter, CEO, will again have a speaking slot at this year’s event, so look out for that! Book an appointment to meet us at stand #938 by emailing David Rushe today. We can’t wait for Inforum 2018 and we hope to see you there!